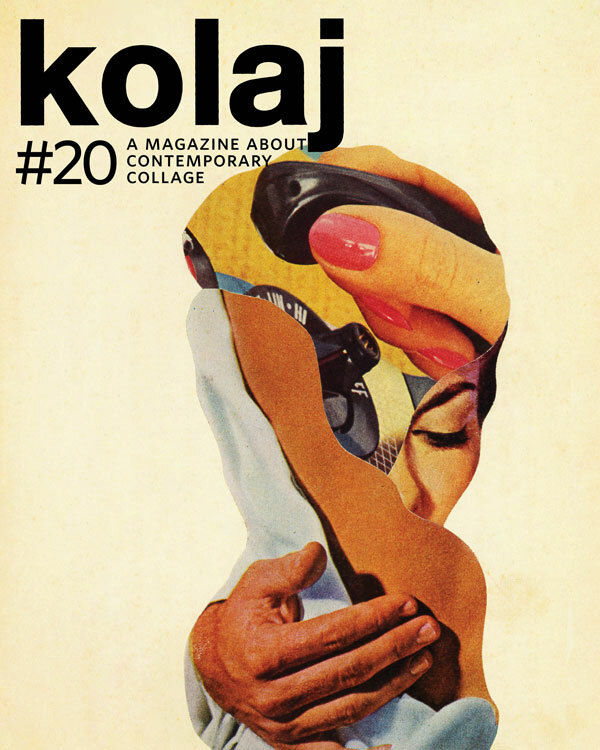 Kolaj #20 delivers a look at the wonderful world of contemporary collage: the people who make it and the people who love it. He continues to talk about the future of the magazine. 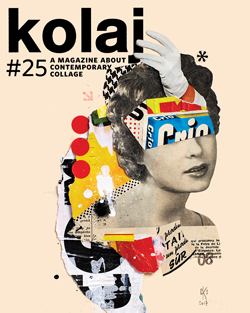 On the cover of Kolaj #20 is a work by Tokyo-based collage artist ChangGang Lee titled She’s a diamond. I’m the rock. Lee employs distortion, glitch, and melding to make analogue collage that uses vintage media to tell timeless stories in a contemporary manner. A portfolio of his collage appears in the issue, along with portfolios by Anastasia Samoylova (Miami, Florida); Ken Ralidis (Los Angeles, California); Felicia Dadak (Truckee, California); and Pauline Tonglet (Namur, Belgium), whose Vista appears on the back cover. 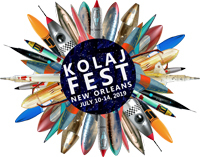 From the world of collage, we bring news about Nicolas Narbonne‘s assemblage that won Grand Prix at the 2017 MTL en Arts festival and we share a call to artists from Edinburgh. 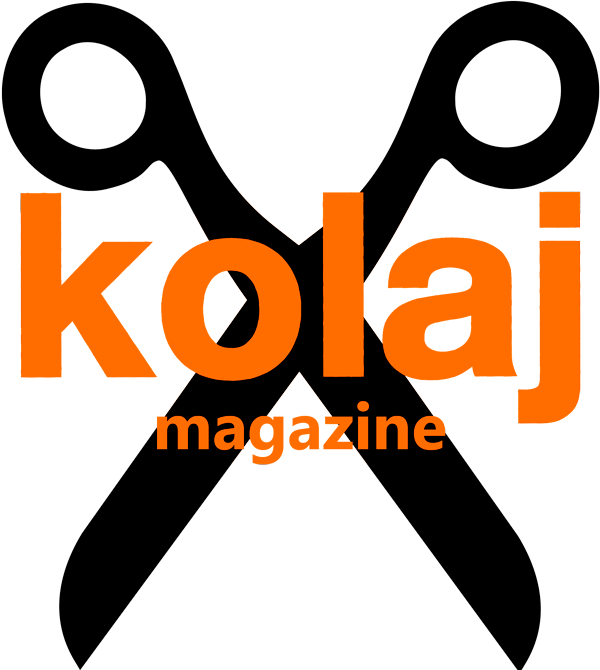 Kolaj #20 is the first print edition since the magazine’s launch of Collage Books, an online tool for organizing, documenting, and cataloguing books in which collage plays an important role. The issue debuts the in-print version of the directory and we write about the collage autobiography Where Quirky Meets Menacing by San Francisco-based collagist Kim Smith. Antonio Beecroft & Michael Uhlenkott share the history of World Imitation Productions and how collage visualized early California punk. We get into Duncan Poulton‘s digital and video collage with a profile and interview of the Birmingham, UK artist and explain how he is pushing the idea of collage in interesting ways. In the first-person article, “Breath Between the Cuts”, Paso Robles, California artist Hope Kroll recalls how a collapsed lung and old sketchbooks led her to a life of collage. She writes about her process, the catalysts behind her collages, and how she creates large, three-dimensional work. Ever wonder why so many collagists use space imagery in their work? In “Affinity for the Infinity”, Steven M. Specht, Ph.D. investigates the use of galactic, stellar and planetary elements in collage and offers some interesting insight into the psychology behind the imagery. 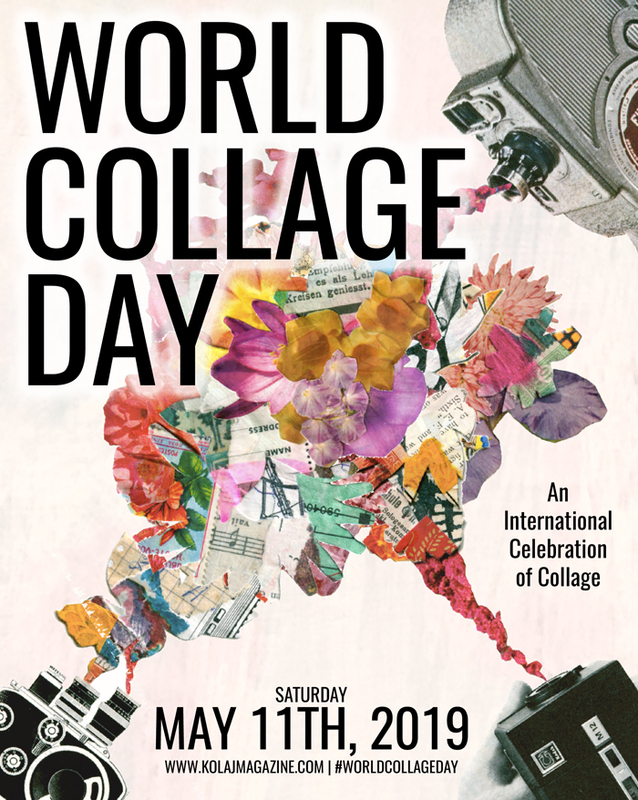 In the next installment of Collage Taxonomy, we offer a definition of Subtractive Collage in which we attempt to distinguish between the technique and the category. The term was suggested by collage artist Lee Honey and we discuss collage by Susan Wicker, Jacob Spriggs, and the title sequence for the HBO drama, The Leftovers. Already subscribed? Don’t worry, you will be receiving your copy by 15 August.